Customizing a closet can help you declutter your home. Just because your closet doesn’t hold all of your stuff, does not mean it has to stay that way. An updated custom closet can make all the difference for any room. A closet remodel is a fast way to declutter your space and improve your life. It will add value, create a welcoming space that allows you to organize your day and your clothing, streamline your routine, and maximize your storage space. Here are some great custom closet remodeling ideas. Consider increasing the closet space. Many homes have hidden space or misused space in them. 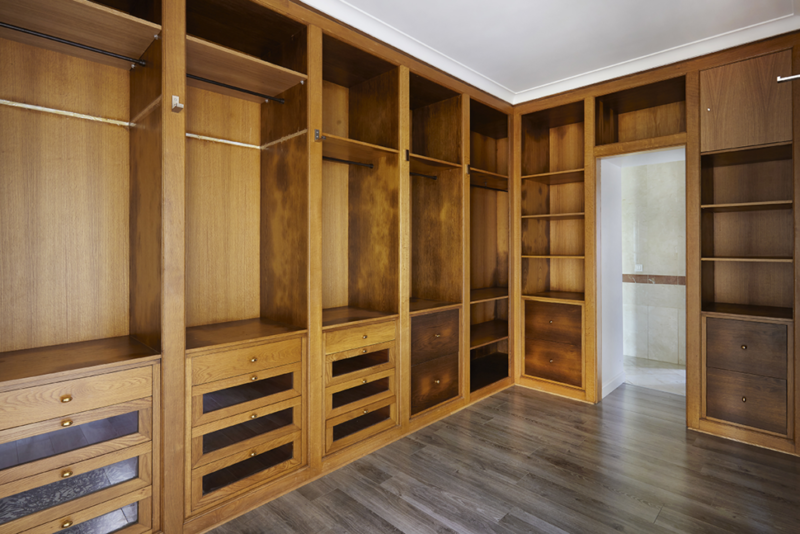 Consider having an expert help you reclaim this space by framing out a new closet with the increased square footage. By designing the closet space to meet your needs. Do you have a lot of shoes? Build in shoe shelves. If you have a lot of jewelry, decide on a special jewelry drawer which holds your pieces. Custom designed shelving, drawers, baskets, belt racks, hidden hampers, or even a fold-out ironing board or hat spaces. By customizing racks and rods. Design with a flow in mind giving each item a place and where it will make sense while dressing each day. Giving everything their specific space, pants, shirts, dresses, coats, belts, hats, and more. Line up the items as they make the most sense according to how you dress. Be sure to include a nice full-length mirror as well. Features can create a space that is enjoyable to be in while getting ready. Consider the colors, dark or light wood, polished chrome or matte nickel features. Be mindful of the handles on drawers and nobs so that they are not the type that catches clothing easily. Decide on dividers for your drawers that make sense for your wardrobe. Spend the money for quality hangers that will not make your shirts pucker or your pants hold unwanted seams. So that you can easily find items. If your closet is a nice sized walk in, you can opt for some wonder stylish fixtures. Customizing a closet can make a big difference in how your room functions. Let us help you design the perfect space for your wardrobe. 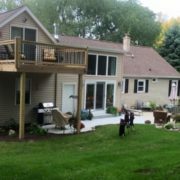 Contact us today for your free custom quote. Winter is the Perfect Time for Home Remodeling Hot Ideas for 2019 Kitchen Remodels.